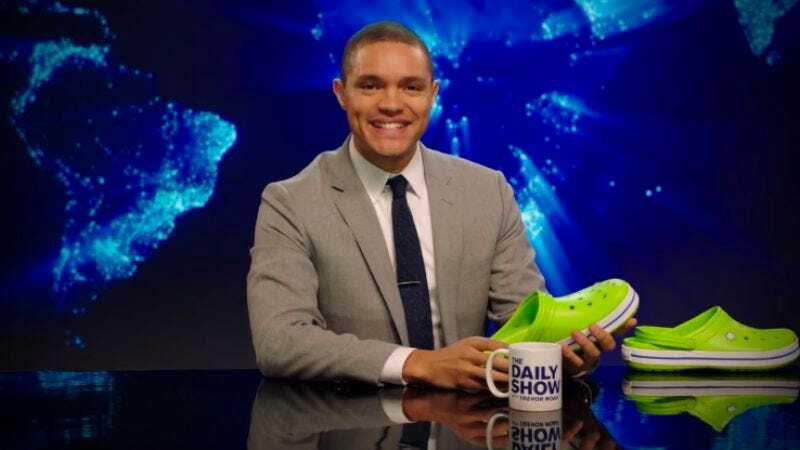 The videos are short and were clearly designed to introduce Noah’s comedic sensibility to people who were searching for “Trevor Noah crocs” before his show started, but they’re still fun even if Noah’s Daily Show has already premiered. We don’t know how many videos there are, but Uproxx found a bunch, Splitsider found a few others, Slate dug up a few more, and we…have yet to find any new ones ourselves. Basically, though, if you Google “Trevor Noah something,” a sponsored video will pop up that features Noah making jokes that may or may not be tangentially related to the “something” in your search terms. We’d say this was a really clever way to promote The Daily Show, but since we had to find out about it from Slate and not from Googling “Trevor Noah Feet” on our own, maybe it was a little too clever?